All projects at the once-famed studio have been canceled and roughly 150 people have been laid off. It's not entirely surprising but it's still very sad: LucasArts, a studio that was once among the top developers in the business, has been shut down. The news was confirmed by a LucasArts rep in a statement to Game Informer. "After evaluating our position in the games market, we've decided to shift LucasArts from an internal development to a licensing model, minimizing the company's risk while achieving a broader portfolio of quality Star Wars games," the statement said. "As a result of this change, we've had layoffs across the organization. We are incredibly appreciative and proud of the talented teams who have been developing our new titles." Kotaku reports that about 150 employees have been let go as a result of the closure and that all current LucasArts projects have been canceled, including the anticipated Star Wars 1313, which our former guy Steve Butts said in his E3 2012 preview could be "one of the best Star Wars games in recent memory." Disney had previously announced that the game would be delayed, however, and sources said it had actually been on hold since Disney acquired all things Lucas in November 2012. 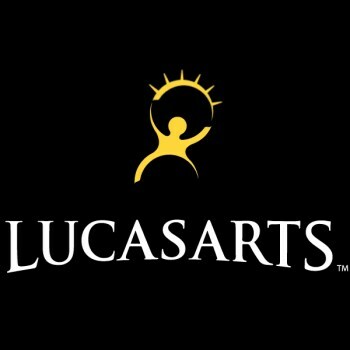 LucasArts hasn't done much of note recently - its last game was the not-great Kinect Star Wars - but it was a player in its prime, publishing classic adventures like Full Throttle, Sam and Max and of course the Monkey Island series, and some great Star Wars games as well, like X-Wing, TIE Fighter and Knights of the Old Republic. And even though it may not have been particularly "relevant" in recent years, seeing it end like this is very sad indeed.